The 84th Annual Academy Awards took place on Sunday night at the Theater formerly known as the Kodak Theater . I attended a friends’ Oscars party, and found myself noticing things from a marketer’s perspective, that others didn’t see. The night was filled with product placements, advertising, and branding (to a targeted audience). 1. In the opening montage, as Billy Crystal merged with the animation and changed into his suit he said: “you’re gonna like the way you look, I guarantee it”. 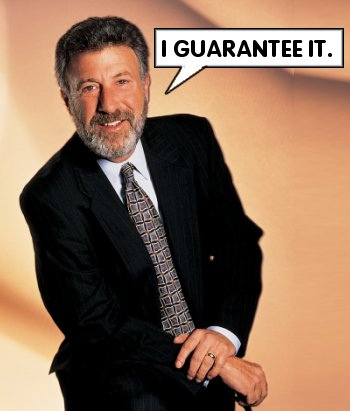 If that doesn’t ring a bell…it’s the tag line by George Zimmer, Founder and Chairman of The Men’s Warehouse. 2. …Tom Hanks took to the stage. But before presenting the the award for Outstanding Achievement in Cinematography, he introduced the audience to Carl the ‘Seat Filler’. 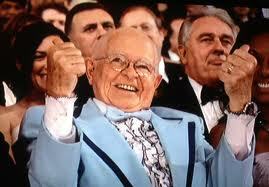 We learn that Carl has been filling seats at the Oscars for the past nth years. The reason, I think, that so much time was spent on this segment, was to make the audience feel part of the event. A “you too can be at/a part of the Oscars” moment. It was definitely a nice segue from the biting quote by Mr. Crystal. This is the first time, during the evening, that the Oscars tried to brand itself to the non-millionaires (the estimated 39.3 million Americans who were watching). 3. Cirque du Soleil…talk about a teaser. It was a fantastic advertisement, with 39.3 million pairs of eyeballs watching. Even though tickets range from $75-$200+, seats still get filled (and not for free like Carl). Cirque’s performance was also an anniversary of sorts, it was their ’10 year anniversary’ since performing at the Oscars. Though at the 74th annual…they nearly burned down the house, and not in a good way. (Unfortunately, due to copyright, the video of the Will Ferrell & Zach Galifianakis on YouTube, was pulled). So those are a few of my marketing observations. I’m curious, did anyone notice the same things?